We left the cocoon of the Golden Princess on January 17 and entered the real world again. 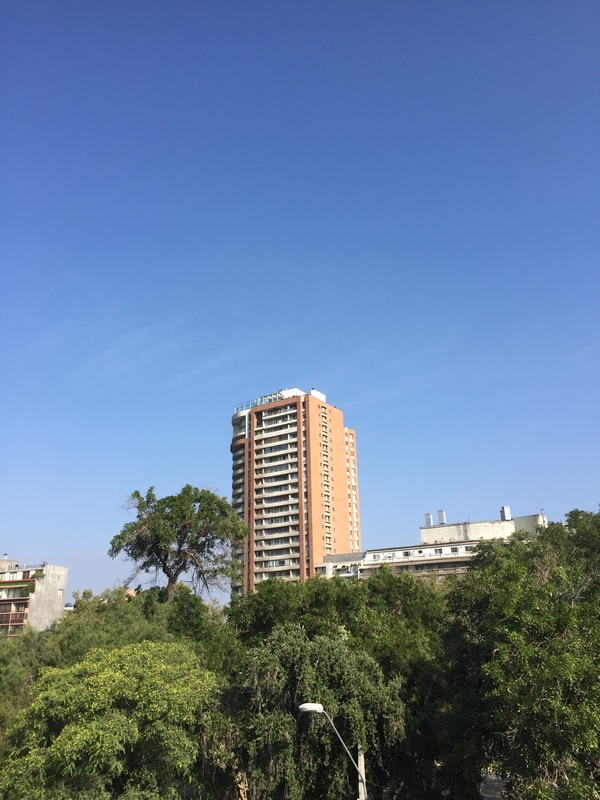 We spent three nights in Santiago, Chile, at an apartment in an area called Providencia, which we rented through Airbnb. 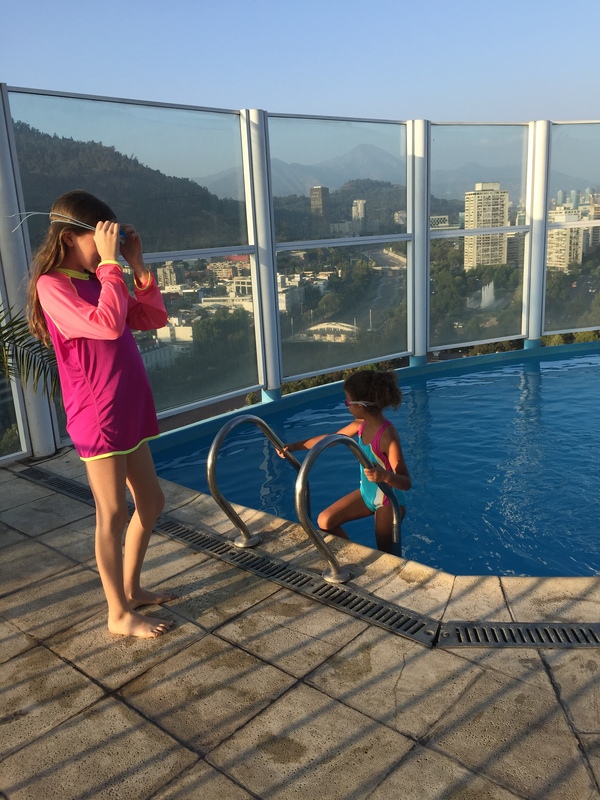 Patricia was our host and everything was set up perfectly—it was a nice 2 bedroom apartment exactly as advertised with great views of the Andes Mountains. The first night we went to dinner at a restaurant called recommended in the great informative guest book in the apartment—called Peliqueria Francesa which was a former hair salon turned into restaurant. Very kitschy and I could almost imagine this place in Roscoe Village—except for the fact they served Pisco Sours and Empanadas. The girls were very interested in the beautiful dark wood wardrobe that actually disguised the door to the bathroom, from the outside it looked like decorative furniture, until you open the door, then you disappear into the cabinet, just like you’d imagine while reading The Lion, the Witch and the Wardrobe — Magic! That night we tucked the girls into their bunk beds and reveled in the wonderful fast Wi-Fi available in the apartment. It had been a while since we had been connected to the outside world so we had some catching up to do. We woke up to a cool, foggy morning and Jared went for a run in the park across the street and found himself participating in a Sunday morning fun run, the fun run extended his expected time out, but he just can’t resist a wide open street with other runners. The city was well equipped for walking, running, and riding bicycles—and had a great transit system—eliminating the need for a car. 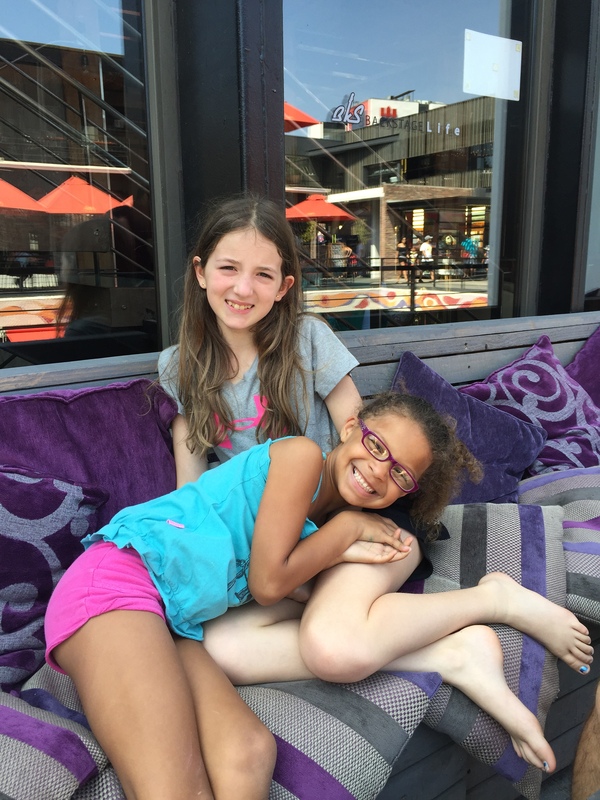 It was time for some schoolwork so both girls worked on math, writing, and reading and then we went out to explore. 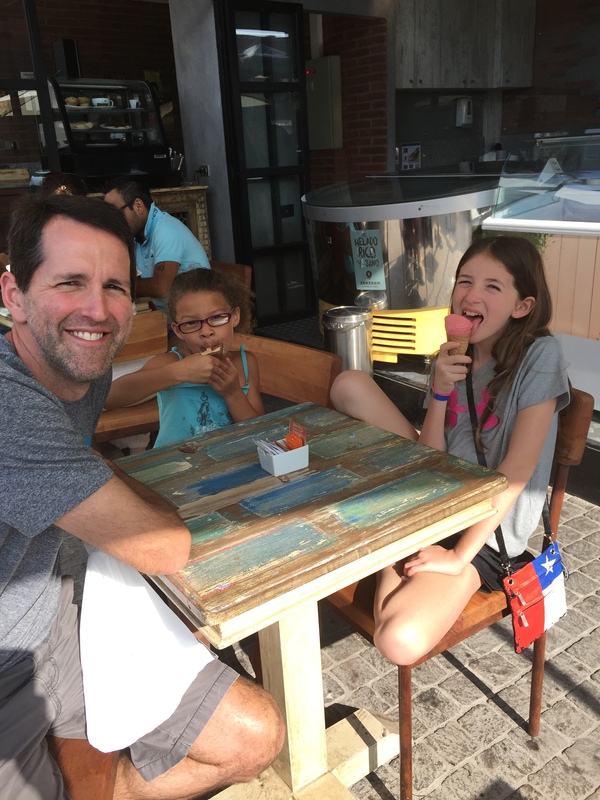 We found a newer area called Bellavista Patio with lots of good restaurants, some shopping, and nice places to walk around. We ate outdoors at a restaurant called Backstage Life and enjoyed the warm sun. Dessert was gelato and they had many interesting flavors different from what we get at home. As we walked back to the apartment, we crossed a bridge covered with padlocks. Jared and I explained that these were locks of love and that couples would inscribe their initials, close the lock on the bridge, and together toss the key into the raging river below—ensuring their love would last forever. The girls thought it was a pretty cool idea and want to come back and put their own locks on the bridge someday. We walked through the neighborhood a different way to explore and catch the next train stop and ran into the café of an old friend—Juan Valdez. Remember the commercials back in the 80’s that featured Juan Valdez and the coffee beans grown high in the mountains in Columbia? Well, we just couldn’t resist….so we went in to grab a cup of coffee and snack for the girls. Juan apparently had run into Howard Schultz at some point because his café is just like Starbucks—with a South American twist. We then caught the train to go to the Mercado Central—where there are markets for pretty much anything you would want to buy; fish, meat, dairy, clothing, housewares, and also what looked like personal yard sales laid out on the sidewalks outside of the markets. We spent most of our time at the fish market…and as you can imagine the girls alternated between holding their noses and yelling “ewwww” and marveling at all the different fish and sea creatures for sale. Many different restauranteurs set up shop at the edges of the fish market but we held out until a guy came up to us speaking very good English (sigh of relief on my part) and encouraged us to come and eat at his restaurant, El Galeon, —which he explained had been remodeled in the last year, won many awards because of the wonderful food, and would be opening a location soon in Brooklyn, NY—where he had spent time in school. We weren’t disappointed—the restaurant was very nice, clean, didn’t smell like fish, and had delicious food! 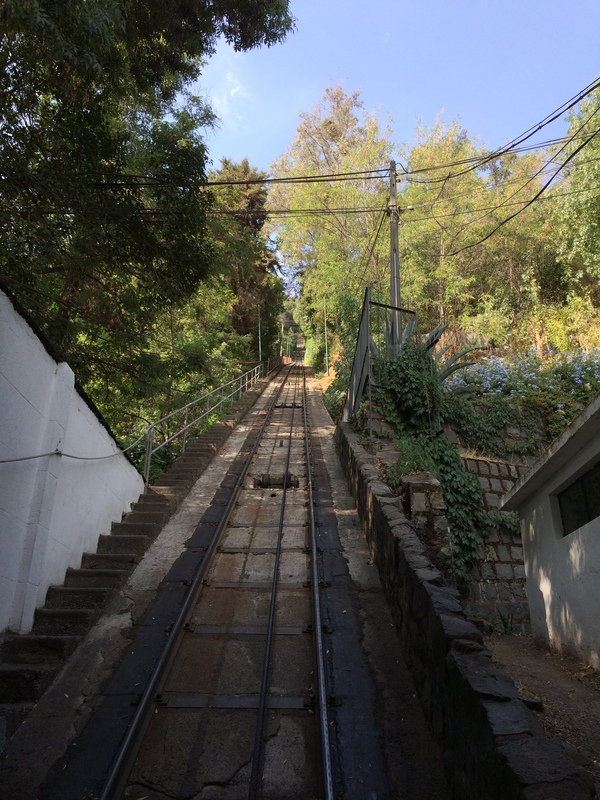 Our next stop was the Parque de Metropolitano, where we took the Funicular up to see the statue of Mary. 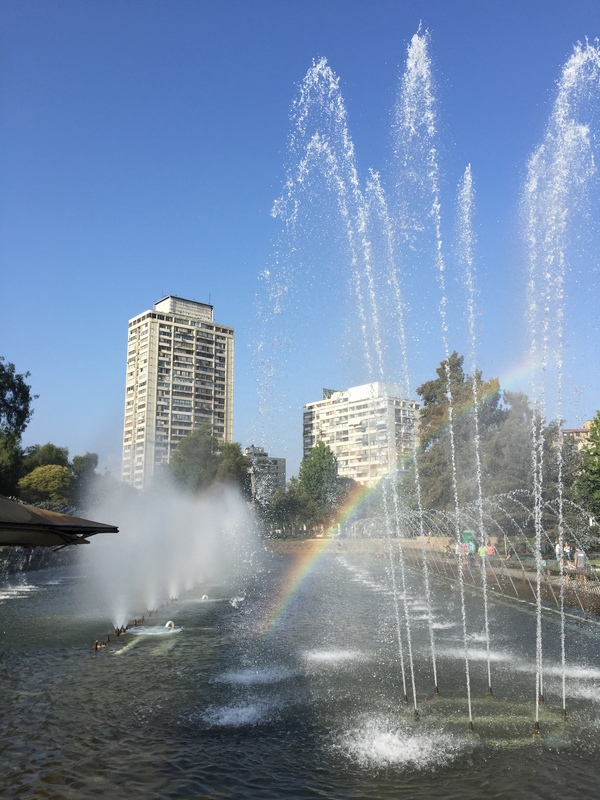 There were beautiful gardens at the top and amazing views of the city—we spotted our apartment and the markets we had visited. 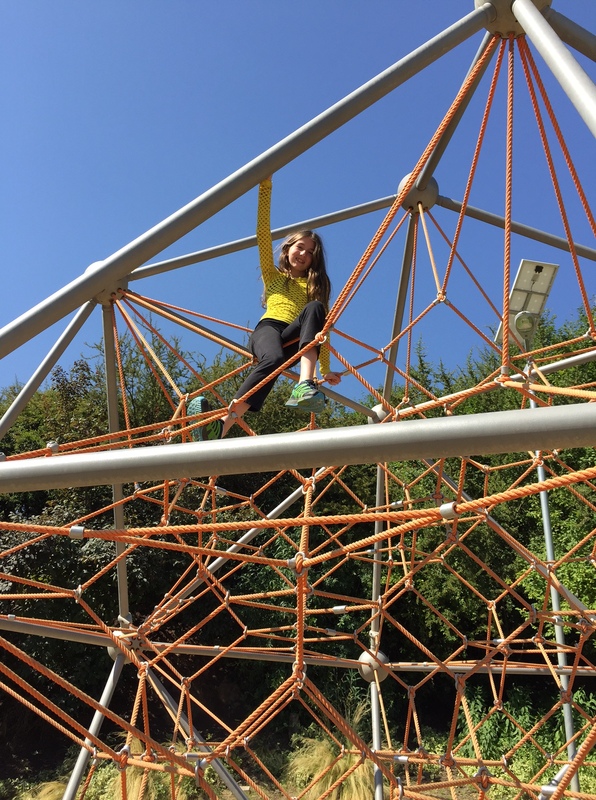 There was also a zoo, swimming pools, and extensive hiking trails at the park. We took the Funicular back down the hill and wandered around at the base of the hill and ended up having another meal at Bellavista Patio — followed by more gelato. We took another route back to the apartment through the Parque Forestal and said hello to each and every stray dog that crossed our path, which South America seems to have in abundance. 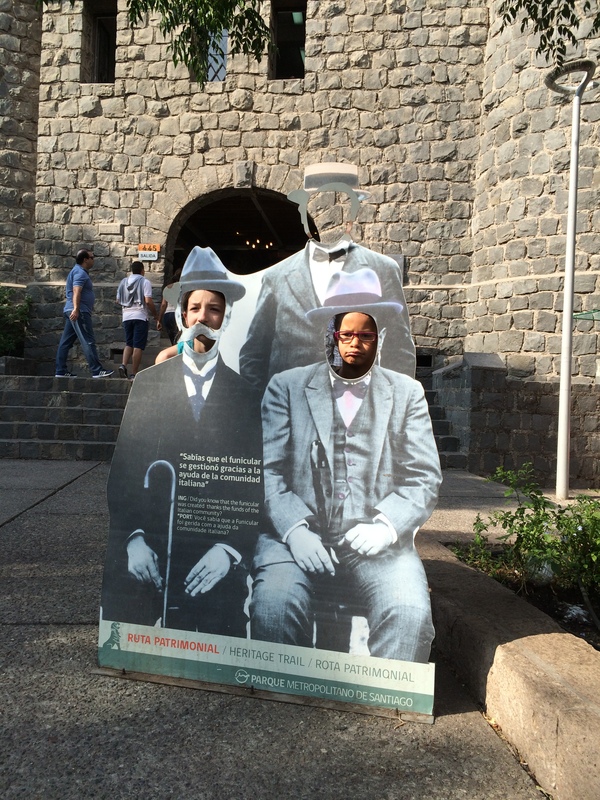 Being in Santiago was really nice and we liked Chile a lot. The people were very friendly and helpful—the city was easily navigated—and there was so much to do. As the best Spanish speaker in our family (the bar is very lowJ)–being on our own pushed my language capabilities to their limits. I really want to improve my Spanish this year and am officially adding this to my list of goals. Another one of our main goals of this trip is to improve our family quality time and deepen our relationships with each other. I can see it happening already, our relationships with each other have grown stronger and I can especially see it with the girls. It is so wonderful to hear them playing together, learning from each other, and having a lot of fun! Signing off for now……Next up, Peru.